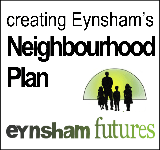 Eynsham Country Market launched their new initiative on Thursday evening 30th August. This is the first time we have held an evening Market. We welcomed many new customers who had not visited the Country Market before and hope that they become regular customers either on Thursday mornings or that they use our new ordering system, where goods can be picked up from 3 pick-up points on a Thursday evening. We based the evening on a Sicilian theme and a well as having a full Market selling all our usual baking, preserves, vegetables and craft, we had a special section selling Italian cooking, including Ameretto cookies, biscotti, fresh pesto lasagne, pizzas and other goodies. We held a café and takeaway where customers were treated to 4 different types of fresh cooked Arancino, and two different Caponatas all served with ciabatta and green salad. They could then enjoy, Torta Della Nonna, Cannoli or Sicilian Lemon Cheesecake. These were made by several of our producers including Irene Naso from Sicily. Due to the success of this venture we hope to repeat an evening market before the end of the year which will be themed for Christmas.